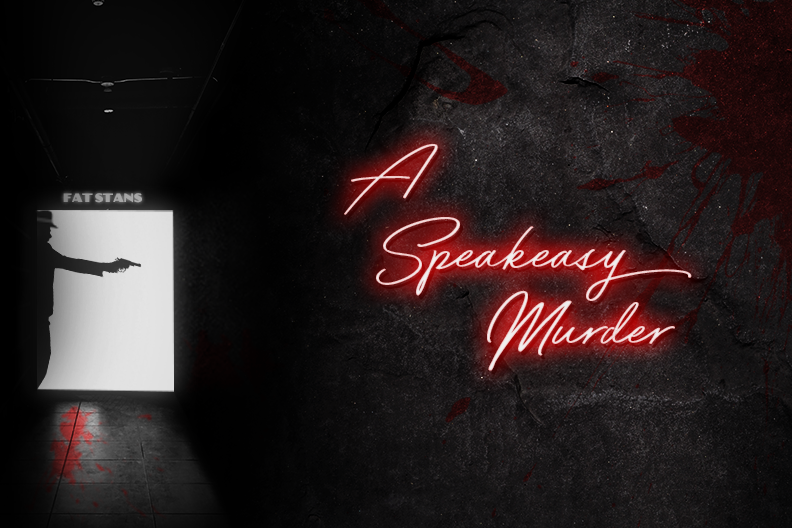 A Speakeasy Murder is a dinner party murder mystery game for up to 32 guests. Join us in a dazzling evening of evening of Prohibition, showgirls, gang-wars and murder! You will be in the middle of the action and it will be up to you to wheel and deal with the other guests. Can you achieve your goals, keep your secrets hidden and survive A Speakeasy Murder? It's up to you! Costumes are highly encouraged but not required. A Speakeasy Murder is © Freeform Games.